The rebuilding of the Lepido viaduct at Borgo Panigale completed in only 53 days. The works, which started the day after the collapse of a span of the overpass caused by an accident in which a tanker exploded, were initially expected to take 5 months, but this was then reduced to 2 months thanks to the timely procurement of the replacement beams and were completed 15 days early. The viaduct, which had been expected to re-open on 15 October, was re-opened on 1 October 2018. The work in question involved the demolition of the beams that did not collapse, with the removal and disposal of the materials, their replacement and the repair of the supporting abutments and pillars. The removed span was reconstructed using prefabricated reinforced and pre-compressed concrete strengthened by cross beams and girder realised during the course of the works. A total of 25,000 working hours were involved, with an average of 58 men used daily. The motorway was kept open to traffic in both directions throughout the duration of the works. 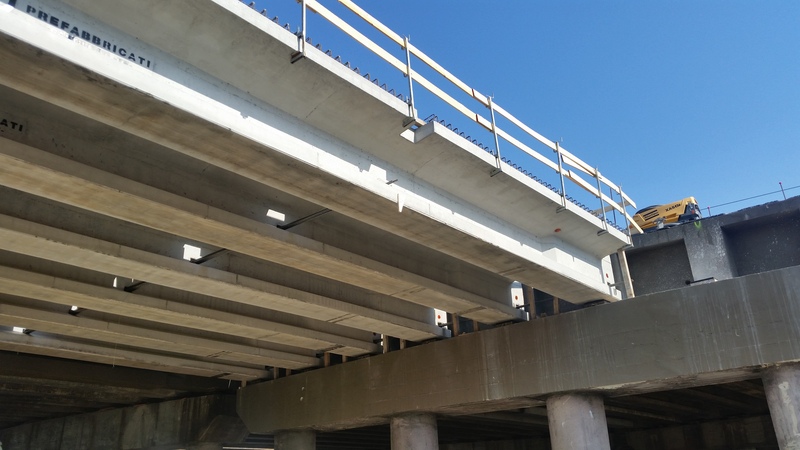 Repair of the damaged parts of the structure: Abutments – Pillar – Beam bordering the deck on the south carriageway, inspections aimed at verifying the durability of the undemolished parts. Preparation of the abutment and pillar for installing the balance points, including the execution of the coring for insertion of the anchor bolts. 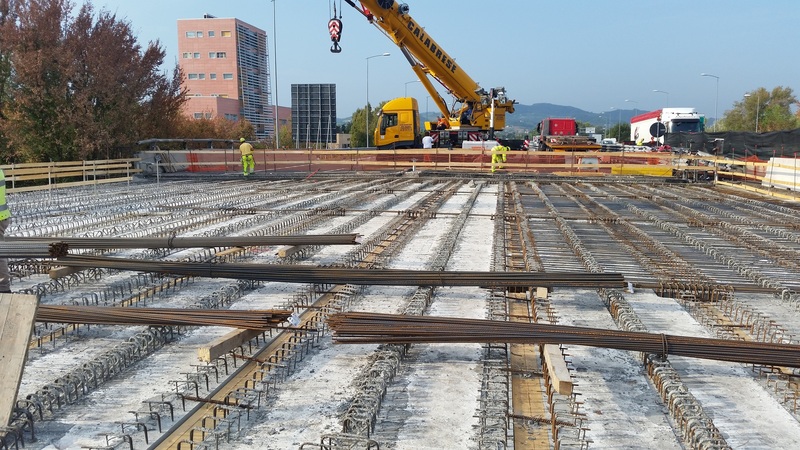 Laying of the supports and installation of the provisional balancing points. Laying of the pre-compressed beams on the provisional balance points. Laying of the metallic parts of the girder and cross beams. Forming of the girder and cross beams, laying of the cross beams and girder, laying of the curb, including the curb on the existing deck of the south carriageway. Prepositioning of jacks for raising the bridge deck. Laying the Binder, laying the drainage layer. Installation of the water regulation system. Preparation and assistance of the static testing.